The licenses were handed over to young italian officers during the visit by the Undersecretary of State for Defense and the Chief of Staff of the Italian Air Force to the 4th Wing. Italian Air Force graduates new Eurofighter pilots. March 18, 2019. "Today I had the opportunity to explore complex technologies that have no value without the most important and irreplaceable element: the human being. The combination of man and machine is a perfect integration. 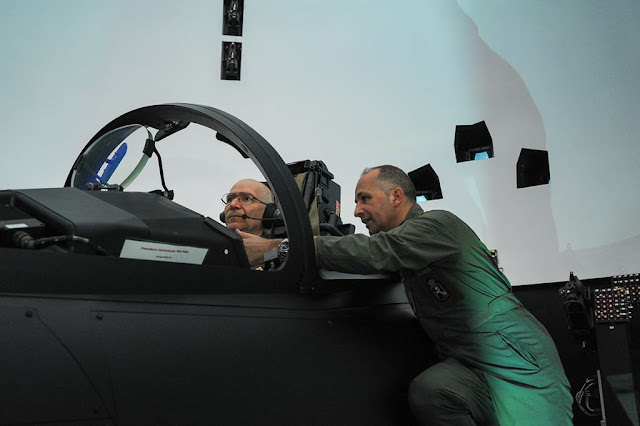 The pilot represents the tip of an iceberg supported from all the technical personnel who are part of our Air Force," Undersecretary of State Angelo Tofalo said during his visit to the 4th Wing in Grosseto, Tuscany, Italy. 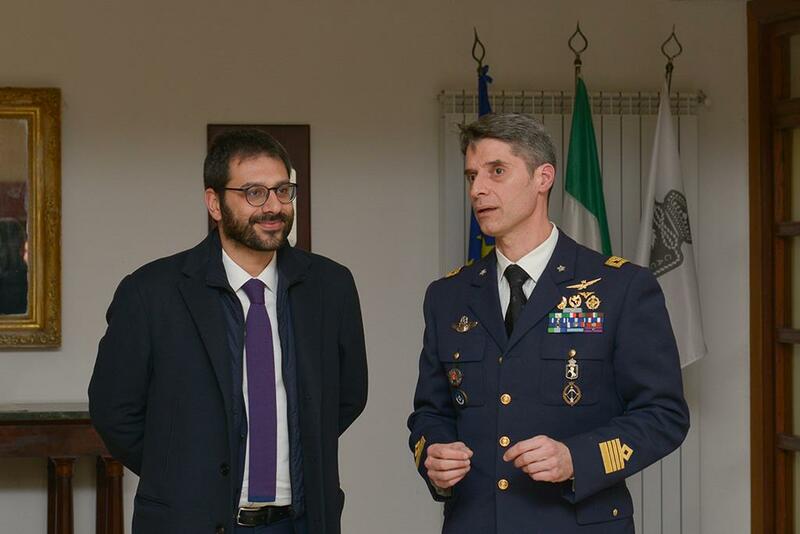 Tofalo was accompanied by the Chief of Staff of the Italian Air Force, General Alberto Rosso and the Commander of the 4th Wing, Colonel Urbano Floreani. "Today the wonderful guys from Italian Air Force have given me very strong emotions," emphasized Tofalo "It is important that citizens know and appreciate their abilities and spirit of sacrifice". General Rosso addressed his speech to the young Eurofighter pilots: "You represent the core of the Armed Force' multi-role operational capability and you must be proud of it. You have a very advanced platform, but it is also a sophisticated aircraft that to reach its maximum performance needs human support, it needs you, your heart, your passion for this work. Your skills and professionalism are appreciated all over the world and your work is useful to the country. You have to be enthusiastic". 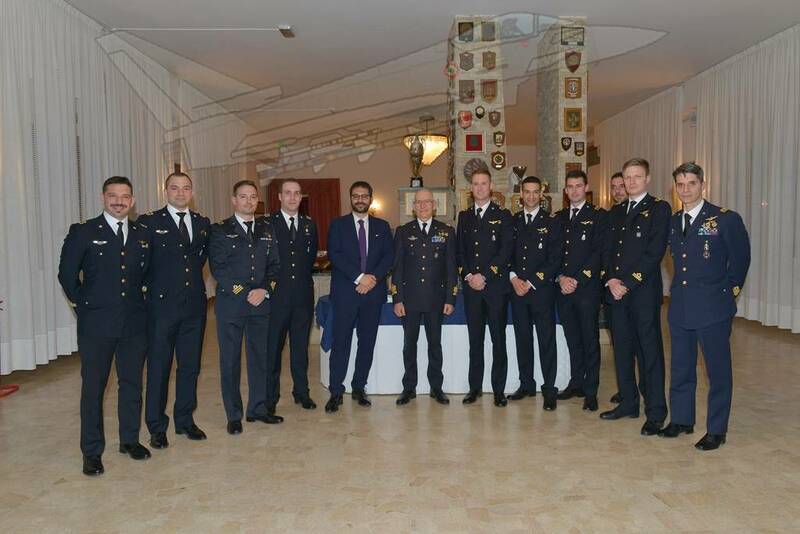 On the occasion of the visit, the authorities delivered the certificates to the new pilots licensed on the Eurofighter aircraft. The 4th Wing has the task of carrying out the operational conversion of the Italian pilots who will be assigned to the F-2000 Typhoon. "I introduce you to the guardian angels of our skies. Courageous men and women who risk their lives in the name of national security," Tofalo said, referring to young pilots. In addition to the training of young combat pilots, the 4th Wing is responsible for monitoring and defending the Country's Airspace. The Department is engaged in the QRA Service, 365 days a year, 24 hours a day, thanks to its Eurofighter aircraft and the strong commitment of its staff.